When it is about keeping any type of building in top-notch condition, one thing that comes to mind first is painting. A simple layer of paint offers a fresh appearance to the entire area. Although home improvement projects performed by people on their own becoming popular these days, hiring a professional interior painter in Orlando, FL can offer you with many worthwhile advantages. For example, you can anticipate high-quality work accomplished within the desired time. Most complicated interior painting projects need dedicated or thorough knowledge and also experience. Quite often, you will end up reading books and articles that might leave you with a fake idea of the real amount of work & skills needed. As a consequence, you move ahead unprepared or with lack of knowledge and ignore some important steps, such as primary cleaning & training. That absence of proficiency might guide to missing some signs of severe structural dent that become clear as time goes by. Pro interior painters in Orlando, FL don’t just put a few layers of paint that most individuals out there can easily do. Rather, they utilize their experience and proficiency to incorporate additional years to the attractiveness of buildings. For instance, most professional interior painters are very cautious when it is about cleaning & preparing each surface to ensure that each is prepared to acquire the finish to be executed. That sort of preparation not just occupies filling out any cracks or holes, but needs the understanding of how buildings are put together and the character of different kinds of construction materials. On top of that, all the windows and doors are caulked & closed to keep water out and decrease the possibilities of the construction developing injurious conditions like rot, mold, etc. Professional interior painters should always be the first choice no matter what type of home improvement projects you have. 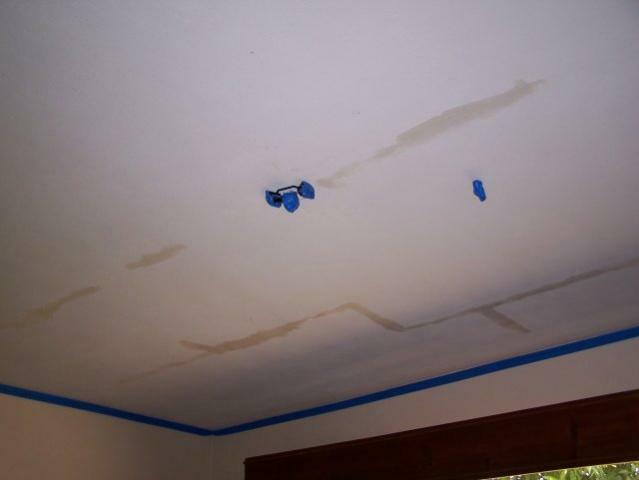 Contact Steve Johnson’s Painting Service if you are looking for expert Painting Contractors in Orlando, Fl. We use only top quality paints and equipment to make the interior of your home or business colorful. Although our specialization is interior painting, but we can also handle other types of painting projects. Whether you are looking for a fresh coat of paint for the entire house or touch-ups from water and smoke damage – we will be there to help. Please feel free to call us at 407-679-0111 for any further query. For any home in Orlando FL, living room is considered to be the most important space, which reflects the personality and taste of the homeowner. As the central and essential part of your home, living room’s color and the décor say a lot about the home and its residents. You can create a bold burst of flowing energy or a soothing ambient atmosphere to lounge in by choosing an appropriate paint color for your living room. Are you having a difficult time in deciding which paint color to choose for your small living room? You should know that bright side of smaller living spaces is that it can handle anything. Be specific in considering every angle of the room such as furniture and decorations. Colors that can lend energy to a small living room are found to be yellow, green, beige and grey. Whereas, pale shades of blue, green, grey, lavender and brown are considered to be calm and airy colors. If you have a larger living space then accent walls, bright, bold and neutral shades will prove to be some feasible options. Your living room walls can take darker shades without making the room feel closed in. For painting your accent walls, you can choose bright red and orange or dark blue & purple as some of the best color options. 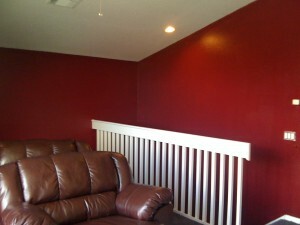 Painting the wall where your TV or fireplace is located in a brighter shade will offer great results. You need to stay away from using white color, which is usually not a great choice for large living spaces as its makes the room appear to blend in too much and will give a dull appearance. Minimal themes are one of the post-modern themes that need just a base color, which will give a clean feel and help in virtually expanding throughout the room. It is found that the minimal living room has just one shade of color throughout the space. For minimal themed living rooms, white is found to be the most popular paint color. Have you chosen a paint color? Are you now ready to change the look of your living room? Allow the professional house painters in Orlando Florida to deliver a perfect painting job in a convenient way. Professional house painters in Orlando FL at Steve Johnson’s Painting Service have extensive years of experience to offer exceptional interior painting as per your requirement and budget. 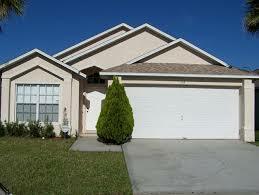 In Orlando FL, we are highly acclaimed as a most reliable and licensed painting contractor. Give us a call today at 407 679-0111 for a free consultation. Everyone wants a nice finish after the interior painting job is done. It is believed that the secret to a successful interior painting is by ensuring right type of preparation. Before you get out with brush and roller, it is important to prepare your walls for painting; this will help in enjoying a gorgeous and long-lasting result. Moving out the furniture and other valuable things are one of the important things to do when you prepare to paint your home interior in Orlando FL. In case you are unable to move out heavier things then simply place those at the center of the room. Do not forget to cover these things, which will prevent from getting splashed or spattered with drops of paint. It is also important to cover your carpets and floorboards with cloth drops or canvas. You can consider canvas to get best results, as it absorbs the paint and lie flat on the ground as well as can be suitably folded around corners and doors. After taking out the pictures, clocks and mirrors as well as masking up the switches or ceiling plates of light fixtures, it is important to clean up your walls. Usually your interior walls, allows building of dirt, dust and finger marks over the time this results in forming a dirty or greasy wall surface, which is not good for painting. In this case, before painting, the walls should be cleaned with damp cloths soaked in a light detergent. You need to look over your walls and surfaces to find any cracks, nail or screw holes and dents. If you find any type of holes or cracks then simply fill them up with good quality spackling paste or wall filler. It is important to scrape any cracked or flaking paint with a scraper or smooth away lumps with sandpaper. You can also use sandpaper to remove old paint and ensure a smooth surface. After scraping do not forget to wipe away the dust. To start with the painting job it is required to have the right materials like can openers, stirring sticks, brushes and rollers. Do not forget to use a good primer that will help to disguise any imperfections in the wall surface as well as can block stains & knots from bleeding through your paint and improves adhesion. You can enjoy a truly professional finish by hiring a professional and experienced team of interior painters in Orlando FL at Steve Johnson’s Painting Service. Our dedicated team will make sure of successfully executing a well planned and organized interior painting job that will offer the best results and enhanced aesthetics. Steve Johnson’s Painting Service is proud to be known as one of the reputable painting contractors in Orlando FL. There is a common misconception that an all-white color palette can enhance small spaces. In realty, the best way to overcome a diminutive space is by creating an inviting atmosphere using some adventurous paint colors. Expert painters in Orlando, FL believe that there are endless possibilities to experiment with colors that will help in transforming a small interior living space. It will prove to be effective in choosing a bold color for one of the walls in your small space, as a darker or bold color is capable in creating an illusion that the wall is receding. This will make the room look more spacious. By painting an accent wall, you can notice an amazing transformation that will change a space from awkward to awesome. In this case use of color wheel is a foolproof way to ensure that the color of your accent walls compliments other walls. Bright colors or clear and vivid colors are excellent for expanding a small space. When one wall is painted with a sharp color, then you can use negative space between the wall and other decors that will blend into the same color scheme. This brings clarity and creates openness and result in enhancing the small space. You can add depth to a tiny room in an exciting way by painting it with various splashes of color. You can choose to paint the inside of a bookshelf, windowsill or radiator with unexpected color. One of the surprising color accents that can open up crowded spaces is to make the transition from a dark color to a lighter wall shade. For your bathroom, you can amp up the look by going with bold shades of favorite colors. Colors like luscious chocolate brown or palette of peachy pinks are some great paint colors for your bathroom. You can incorporate eye-catching paint colors for small kitchens to get best results. With a trendy tint, you can glam up your kitchen with a spacious feel and appeal. When you want to add a greater element of dramatic effect, then it will be wise to contact most experienced and highly skilled painter in Orlando Florida at Steve Johnson’s Painting Service. We will add superior paint finishes that will beautifully transform your small and challenging space into an attractive area with a spacious feel. Steve Johnson’s Painting Service is highly acclaimed for providing top quality interior and exterior painting service and also widely known as one of the reliable and licensed Orlando painting contractor. Contact us today at 407 679-0111 for a free consultation. How To Hire a Painting Service In Orlando? Is the painting contractor you’re going to hire, certified? Does their business insured and certified? Have you checked out online reviews to know what their customers are saying about their qualifications? If possible, ask their clients whether they have sufficient manpower and necessary equipments for your home painting tasks. You have to make sure that the painting contractor in Orlando, Florida you’re going to hire, has a deep and true desire for delivering quality painting work, the flawless painting skills and artwork ability. After all, you don’t want the person for just wandering around your home, right! Make sure the painter service in Orlando, Florida you choose has some references and a successful work history throughout their working career in the painting industry. Check out the level of experience your painting contractors have with the type of job you need, whether it’s an interior painting update or interior re-do. Do they have decades of passions that glitters much from the time you’re meeting them initially? Thus, you should need someone with more expertise and passion to perform your painting job proficiently. Do they provide painting services at affordable price ranges? Remember, you may need to pay a bit more for the improved quality, dedication of the workers to ensure perfection and a long lasting value. With certain reliable painting contractors in Orlando, Florida, you’ll get the price and the job combined into a fair value; that can benefit both of you and them. Make a big impact and welcoming ambiance in every room of your home by the painting contractors in Orlando, Florida of Otown Interiors. For a refreshing feel in the living room, a fun feel in the playroom and energizing fresh colors in the bedroom to ensure a peaceful good night’s sleep, choose our painting specialists to fulfill your dream home renovation projects. Give Steve a call for a free estimate residential painting needs in Orlando, Florida, please feel free to visit us online or call us today at 407-679- 0111. Posted in Interior Painting, Painting ContractorsTagged Contractor, interior painter, orlando painters, paintersLeave a Comment on How To Hire a Painting Service In Orlando?